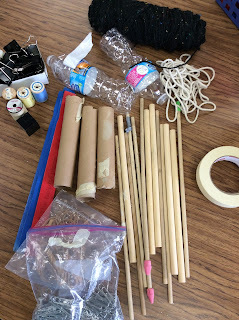 It is time to start our last FOSS box for 5th grade...sorry if someone out there loves the levers and pulleys box, but my students don't seem to like that one very much. Soooooo....how do I fix that? We start by learning about the six simple machines and then we finish with our cardboard arcade that incorporates all of the simple machines! We first start off using our science notebooks to write down what we think the 6 simple machines are. This is fun to watch. Then, I share the simple machines on an anchor chart with an example. I don't show videos very often, but Bill Nye is great for introductions. I use sentence stems...I have found that giving sentence starters/stems for the students helps them focus on what they should be looking for while watching a show or answering questions after an experiment. 1. A ______________ reminds me of ______________. 2. I was surprised that __________________________. 3. 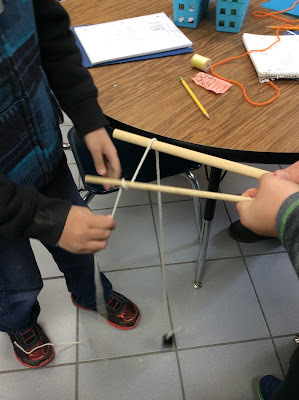 The effects of using simple machines ____________. 4. An example of each simple machine includes_________. Here is the link for Bill Nye Simple Machines on Teacher Tube! After we are done sharing with our groups what we learned...I pose a problem. 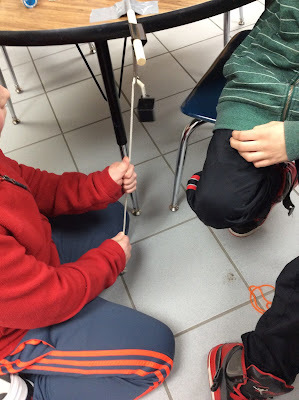 I give each group a weight and ask them to use our STEM Store to create a simple machine that will bring the weight from the floor to the top of the table. I give them time to draw an idea and then share and build. Once they are done building...the students share what they were able to create. Here is the current pack Simple Machines Cardboard Arcade found in my store. 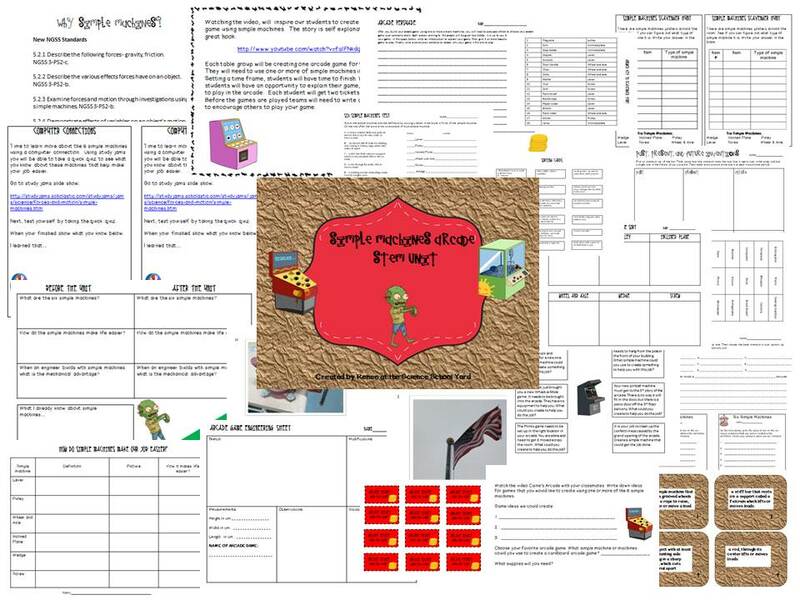 I will be adding some great new activities as I update this pack this month. 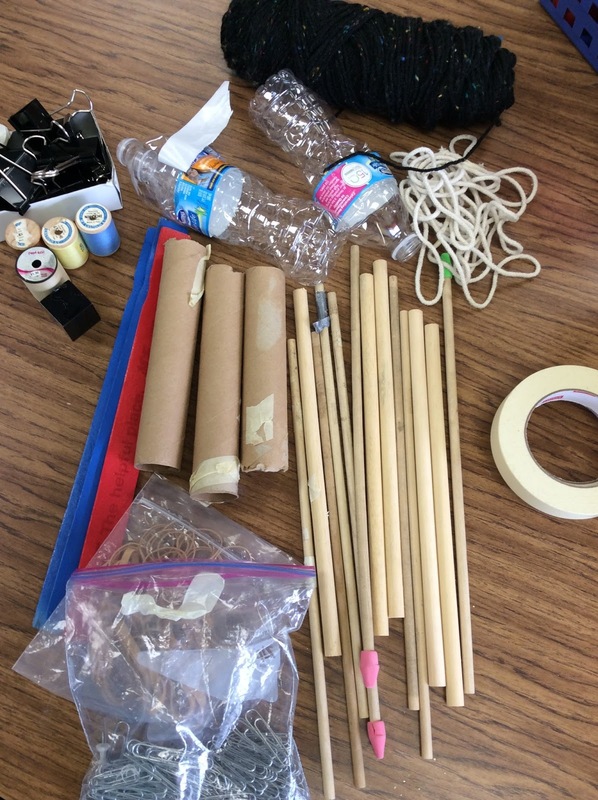 After using this pack many times I still love the activities, but after doing STEM challenges for the last two years I love seeing how the kids love to be engaged each week with a new Simple Machines Challenge. FOSS friends....I love adding this pulley challenge...using the first grade wheels to make a vehicle with an inclined plane challenge....stay tuned! Easy STEM solutions allow for students to find quick ways to learn about a subject by investigating, creating, and sharing. By letting my students create a solution by connecting what they learned in a video to solving a simple problem of how to get something from the floor to the table gave them ownership! That is what we need to include in our routine to get our students ready for the jobs of tomorrow!